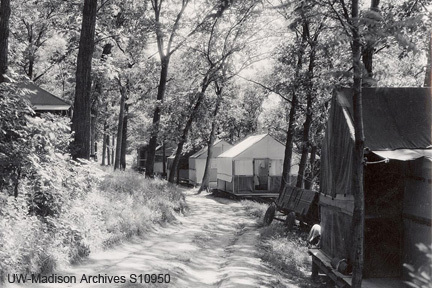 The eastern two-thirds of Tent Colony Woods was once the home to a unique summer residential community, the Tent Colony, established for students attending the university’s summer session. 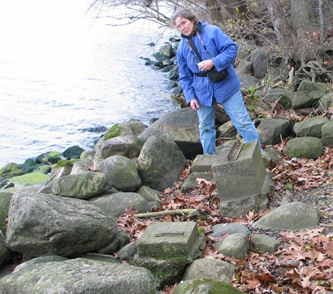 Today, as you traverse this narrow shoreline woods along the Lakeshore Path east of Raymer’s Cove, look for clues that reveal something about the lives of these former “tent colonists.” Can it really be true that 300 people once lived here? The university acquired Tent Colony Woods in 1911, as part of its acquisition of George Raymer’s farm. Some thought the purchase price of $1100 per acre to be outrageous, since the assessed value was closer to $150 per acre. Elected officials and the local papers challenged the university to demonstrate how this expansion along the northern edge of campus was justified. It was perhaps fortuitous, therefore, that in the summer of 1912 a group of students from the College of Agriculture requested permission to set up a temporary camp along the Lake Mendota shoreline where they could pitch tents during the university’s summer session. 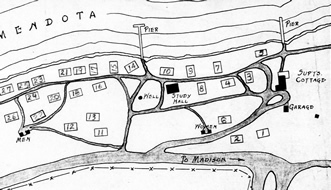 This proposal seemed to satisfy two needs: 1) the students gained access to inexpensive accommodations (which was helpful because many of them lacked adequate funds to rent temporary housing during their short stay in Madison); and 2) the university was able to demonstrate that the additional land which it had purchased at such a high price would indeed benefit students. And so the plan for a tent colony was approved, thus launching what arguably became one of the most unusual forms of student housing in the university’s history. The next year, Summer Session Director Scott Goodnight (for whom Goodnight Hall is named) formally expanded the program with the construction of 18 wooden platforms on which students could pitch their tents or build make-shift dwellings at their own expense. Over the next half century, these humble beginnings gave way to additional amenities: more tent platforms; a well with a hand pump; pit latrines; and eventually, a study hall with two bare light bulbs. These “improvements” made the lodgings more comfortable for residents, though life on the lake always remained rustic and simple. We are not certain how many students tented that first summer of 1912. But the following summer, eight families set up shelters on the newly built tent platforms. The Tent Colony population grew steadily for the next 25 years. By the late 1930s there were as many as 65 platforms and 300 residents—with up to 60 children enjoying their summer in the woods! During the years surrounding World War II, the population on campus declined, as did the number of students attending the summer session. With the end of the war, summer enrollments picked up and the Tent Colony again became a popular housing option. Tenting Colony Platform Plat Map, 1929, Source: CLP-F0037. Through most to the 50-year existence of the Tent Colony, Albert and Eleanor Gallistel served as its on-site supervisors. As the campus Superintendent of the Department of Buildings and Grounds, Albert was responsible for keeping campus infrastructure operating. The Tent Colony was just one of his many responsibilities, but it was also where he and his wife lived during the summer months. Indeed, from all accounts, it was his wife, Mrs. Gallistel (the formal title by which she is referred in all of the historical documents of the time) who ran the Tent Colony. Mrs. Gallistel oversaw daily activities at the colony—bringing order and civility to a community that might otherwise have been more akin to a frontier town. She provided a reassuring steadiness and sense of tradition to a community that blossomed in June and faded in August. 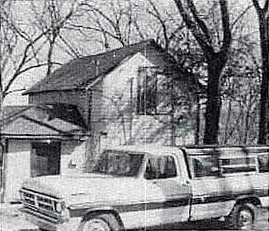 This is the only known image of the Gallistel House as it appeared in the 1970s, when it was in use by the meteorology lab. Source: PR082-G9. Following the Tent Colony’s closure in 1962, the cottage was used by the Meteorology Department as a storage facility. The exact date when it was demolished is unknown. Despite its ephemeral quality, the Tent Colony organized itself much like a much larger city. Each year the families elected these officials: mayor, clerk, constable, sanitary commissioner, postmaster, newspaper editor, and several alderman. During the first half of the 20th century when the Tent Colony was most active, most of the university’s summer session students were men. This meant that mothers and children remained at camp while fathers went off to classes each day. There was plenty to keep the kids busy: swimming, fishing, and boating were all popular activities. Some years there was even a recreation director hired to supervise the children while the moms attended to daily chores. In many ways life at camp was quite rustic. Electricity was only available in the study halls. Tents were lit with kerosene lamps. Food was often placed in underground pits to keep perishables from spoiling. Pit latrines offered the only sanitary facilities. And the only telephone (in later years) could be found at the Gallistels’ house. And yet, if you read the carefully handwritten minutes of the annual Tent Colony Council meeting, or the annual camp newsletter, “The Breezes,” you get the sense that living at Camp Gallistella was far from being a hardship. It was more like an unforgettable adventure, and for the kids at least, much akin to summer camp. Camp Gallistella closed in 1962, just three years after the Gallistels retired. This unique community in the woods came to an end for several reasons: perhaps the loss of the Gallistels’ guiding hand had something to do with it, but a more significant cause was probably the change in residential options for UW students in the years following World War II. The construction of the Eagle Heights Apartments created many more residential options for student families, and the dramatic increase in university residence halls in the 1960s probably made these rustic dwellings seem less than optimal for students who now had more comfortable options available. The Tent Colony is now almost all gone. The swimming piers, the wooden platforms, the Gallistel house, the water pump, even the latrines: all have vanished. Where hundreds of people once lived along the water’s edge, there is remarkably little evidence of their former presence here. As you wander through Tent Colony Woods along the Lakeshore Path, look for these signs of a vanished way of life, and try to imagine the very different scenes you would have seen here half a century ago. Look closely, and maybe you’ll notice a few things that seem just a little out of place in a woods that otherwise feels quite natural. A moss-covered rock, for instance, might look a little too square—because it was probably the concrete footing for a tent platform. 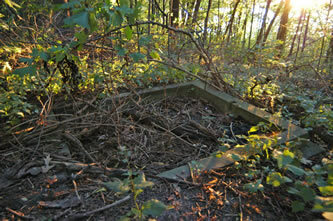 Or perhaps you’re wondering what purpose the large concrete block served along the trail? This is the former location of the hand-operated water pump. These concrete abutments with embedded iron rods look out of place until you imagine the swimming piers that were once held fast to the shore here. 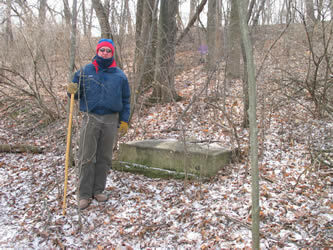 If you follow a side trail up the slope toward Lake Mendota Drive, you might be able to find one of the square cement structures that provided foundations for the Women’s latrine. Read more about the foundation remnants. Even some of the plants may look more like they’d be more at home in a flower garden than in the middle of a forest…because that’s in fact just what Mrs. Gallistel planted them to be. Read more about Tent Colony garden remnants. If by chance you lived at Camp Gallistella, we would love to hear from you. Of course, if you still have photographs or newsletters it would be a real treat to share them here. Drop us a line! Read an orientation pamphlet distributed by the Gallistels explaining rules and regulations. A.F.Gallistel, Camp Gallistella orientation pamphlet, circa 1940s-1950s, UW-Archives series 24/8/11-3. Read “The Breezes,” a newsletter written by the tent colonists, August 1952. The Breezes, the newsletter of the UW-Madison Tent Colony for the summer of 1952. Photocopy in Lakeshore Nature Preserve Archives, PR146-G1. Read the minutes of the annual Camp Gallistella council meetings, 1934-1962.“Minutes From Town Meetings and Council Meetings for Camp Gallistella,” 1934-1962, collected by Jane Camerini, original handwritten book in possession of Stephen and Enid Stover of Manhattan, Kansas. Photocopy in Lakeshore Nature Preserve Archives, PR145-G1. Read “Tent Colony Chronicles, Part I” and “The Spirit of Camp Gallistella: Tent Colony Chronicles, Part II” in the Friends newsletter by Jane Camerini. Early morning fog in Tent Colony Woods. Photo by Adam Gundlach. Tent Colony Woods is among the loveliest and least-visited parts of the Lakeshore Nature Preserve. Many students who live near the center of campus never make it past Picnic Point in their explorations of the Preserve, and this is unfortunate. The Lakeshore Path skirts the edge of the lake along sandstone bluffs that drop steeply down to the water’s edge, so that one constantly catches glimpses of sparkling blue water through the foliage during warm months of the year. Inattentive visitors can be forgiven for not noticing the squared-off stones and cement platforms that might enable them to reconstruct the human history of this place. But in fact they could read similar lessons from the trees and plants around them if only they paid attention. You don’t need to see the old cement foundations to realize that these woods are very young. There are few really old trees in this part of the Preserve. Most of the ones you’ll find here have relatively narrow trunks, suggesting that they are at most a few decades old. There was of course much more open land here half a century ago than there is now, and the natural processes of vegetational succession are gradually repopulating the old building sites with new forest. The regrowth of the forest in Tent Colony Woods and on Frautschi Point (which had much less forest in the first half of the 20th century than it does now) can be observed on the interactive map at AIR PHOTO > Historic Animation Tool. This has very important implications for wildlife in the Preserve, since it is now possible for animals to move all the way from Eagle Heights Woods to Picnic Point under the protective cover that only trees and shrubs can provide. When warblers are migrating through this area in the spring and fall, for instance, this narrow strip of lakeshore woods provides very important stopover habitat for their long-distance journey. 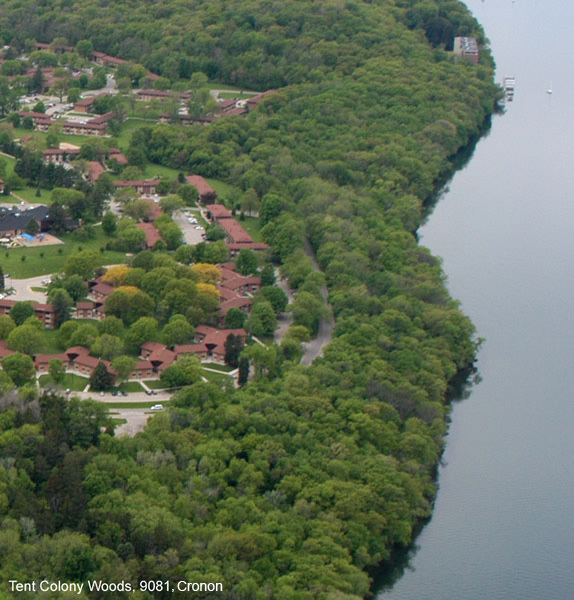 The primary recreational activities in Tent Colony Woods are hiking, jogging, and birding along the Lakeshore Path. Please note that the Lakeshore Path is not open to biking in this part of the Preserve. The 2006 Lakeshore Nature Preserve Master Plan envisions a variety of cultural and ecological enhancements that will improve visitor experiences and protect resources. The Plan calls for continuing to manage this area as mesic woodland, contiguous with the vegetation type that extends west through Wally Bauman Woods and eastward to Frautschi Point. As with other areas in the Preserve, invasives removal, erosion control, and maintenance of shoreline view openings will be among the management activities in Tent Colony Woods. The Class of 1955, as its 50th anniversary “golden jubilee” gift to the Preserve, generously supported a variety of ecological restoration activities in Tent Colony Woods. 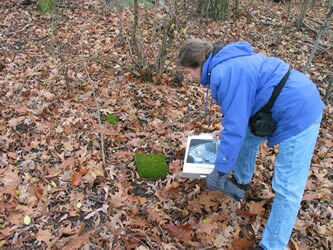 In the fall of 2006, Preserve staff and volunteers moved forward with an intensive effort to control invasive plants such as garlic mustard and buckthorn in conjunction with the installation of an environmental monitoring grid. The monitoring grid makes it possible to gather systematic data on the effect that restoration activities have on the biological communities in the woods. By providing square cells with fixed boundaries within which management activities are conducted, the grid enables future researchers to monitor ecological changes and to assess the relative success or failure of different stewardship techniques, thus enabling us to do a better job of caring for the Preserve. In addition to invasives management, Preserve staff and volunteers undertook erosion control projects, replanted native species, and improved directional and interpretive signage for this part of the Preserve. Thanks to the Class of 1955 and to all our supporters from the Friends of the Lakeshore Nature Preserve for helping fund this work! Campus bus #80 makes regular stops along Lake Mendota Drive near the Frautschi Point parking lot and at the western terminus of Eagle Heights Drive. Cyclists can easily reach Tent Colony Woods along Lake Mendota Drive. Bike racks are available at the parking lots at Raymer’s Cove and Frautschi Point. Please remember that bicycles are NOT permitted on the trails at Tent Colony Woods. The Lakeshore Path runs along the entire length of Tent Colony Woods. 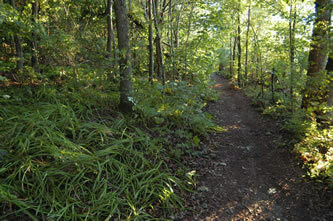 You can access the Lakeshore Path on short spur trails at either end of Tent Colony Woods. On the east end, look for a trail that begins just to the west of the Frautschi Point parking lot. 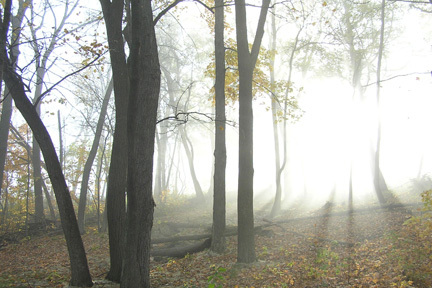 On the west end, use the trailhead to Wally Bauman Woods across from the western terminus of Eagle Heights Drive off of Lake Mendota Drive. Tent Colony Woods can be accessed from Lake Mendota Drive. Free parking is available at Frautschi Point and Raymer’s Cove lots.